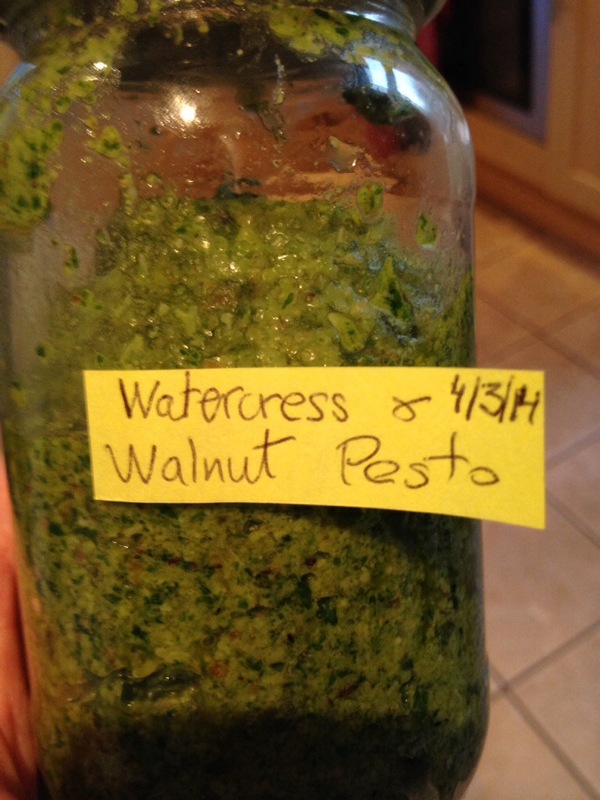 Nothing beats the fresh taste of homemade pesto. Since I had a bag of organic watercress in my organic box delivery and no pine nuts I had to improvise a bit. 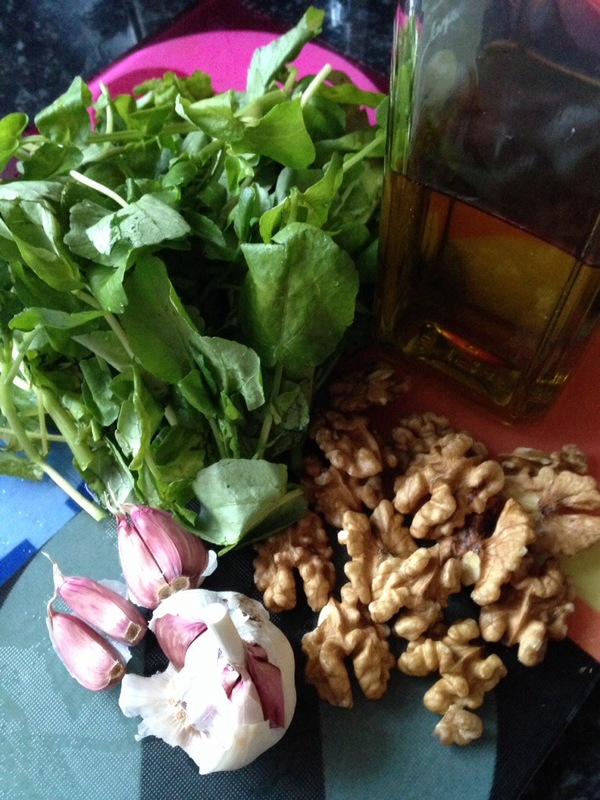 Simply roast the walnuts before wizzing together in a small food processor with watercress, garlic, flat leave parsley, parmesan cheese, olive oil and salt and pepper. 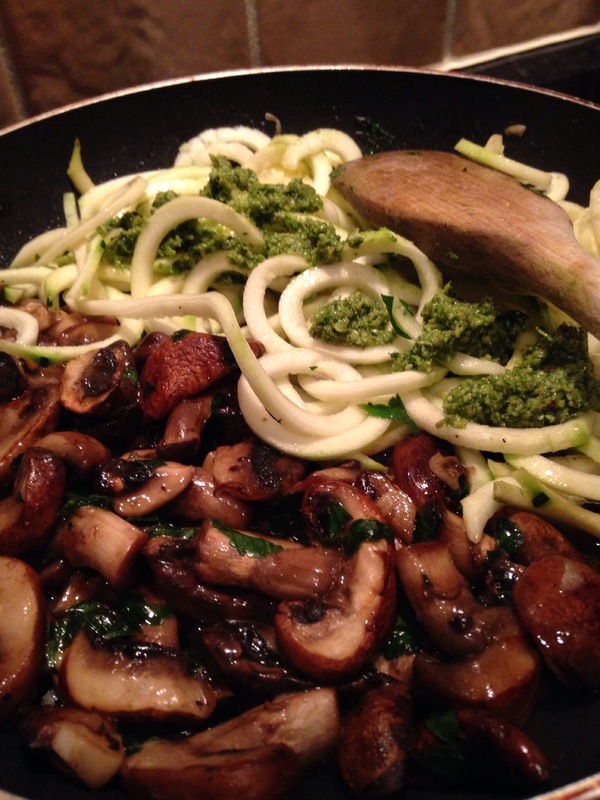 This entry was posted in catering, cooking, eating out, fitness, food, health, home, home cooking, italian, kitchen, love, nutrition, raw food, small kitchen appliances, snacks, vegan, vegetarian, world food and tagged health, nutrition, pesto, raw, walnut, zoodles. Bookmark the permalink.